The ZB4000 USB Power Bank (external battery) works with our 5V series heated outerwear. 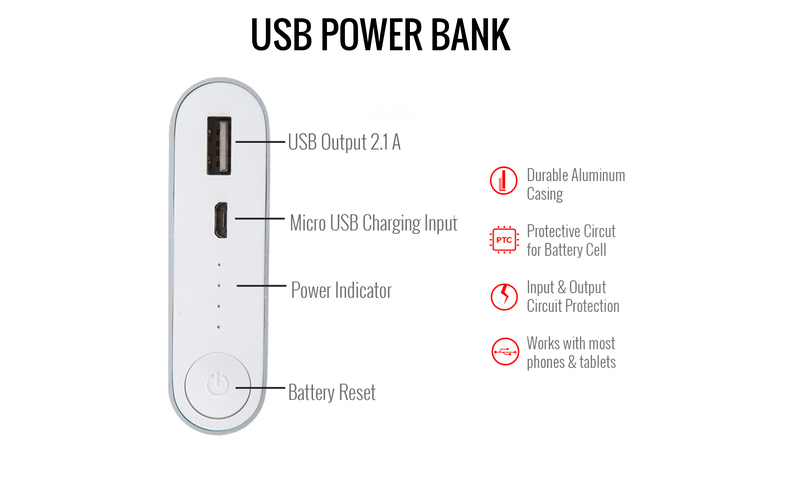 Plus it can charge your smart phones, tablets, lamps and other USB powered devices. The lightweight aluminum alloy construction provides ultimate protection. For electrical protection, we used premium microchips to ensure worry free use and safety. This power bank can provide more than 3x charging for your smart phone and/or up to 10 hours of heating time in VENTURE HEAT's 5 Volt heated clothing. Note: Charge the battery by plug-in the included micro USB cable into your computer USB port or smartphone charging adaptor.